If it’s December, it’s Clubs. The Pacers//GRC-New Balance team will head to Tallahassee this weekend for the USATF Cross Country Championships to once again compete against the best club teams in the country. It's the eighth straight year GRC has sent a men's team and the third straight trip, and fifth overall, for the women's team. Every year “Clubs” is an important race for the team. As the focal team race of the year, it’s the premier chance for the team to go toe-to-toe with the best clubs across the country, showing off both the team’s individual talent and depth. The emphasis on the Club Cross Country Championships starts in late summer. 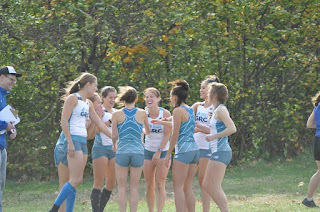 Due to the emphasis on the race and opportunity the race presents the team to compete on the national level, the race is not just referred to as “clubs,” by the team, but rather “Clubs, Clubs,Clubs,” providing the extra emphasis. Clubs, Clubs, Clubs is a team goal and a topic of conversation all year, and this year is no exception. The team is as ready as it’s ever been to show the over-paid professional and club athletes how a team built on dedication, comraderie and talent competes. The women’s team looks for its best performance yet at the Cross Country Championships. The team is talented and deep, and will be staring down a top-10 finish. They finished 10th in 2014.
she took home the win. The women’s “A” team looks to be led by Steph and Emily D, making a strong one-two punch. 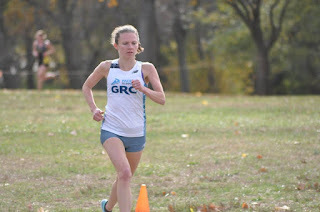 Steph has dominated her fall season winning the Army Ten-Miler by two-minutes, setting the team road 5k record, and cruising to victory in the USATF East Regional meet. Emily D will be making her debut for the team. The former Princeton standout brings strong cross country credentials to the team placing second in the NCAA East Regional last year. Frances hopes to make this not just a one-two punch, but a one-two-three punch as she’ll look to better her strong 70th place finish at the Cross country Championships last year. “She’s in PR shape and ready to improve on (last year's) 70th place finish,” Jerry said. Veterans Maura, Kerry and Hannah will add invaluable depth. Maura is in “the best shape of her life,” according to Alexander. Kerry is an inevitably strong runner and looks to dominate on her home turf of Florida, a state in which she once defeated Jenny Barringer for a state track championship. And Hannah is back in great shape and should have a strong showing at Clubs, Clubs, Clubs. Newcomers Elena and Elyssa round out the woman’s “A” team, running their first Clubs, Clubs, Clubs. 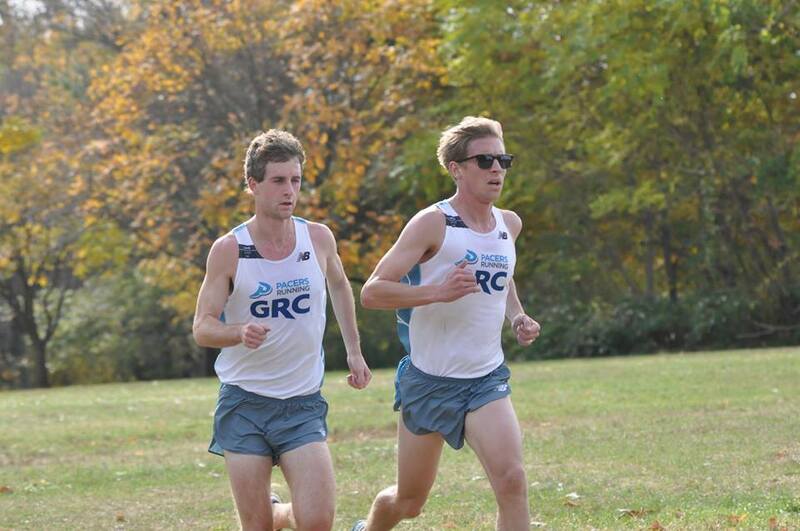 Both looking strong, they’ll contribute to the team's pursuit of a top-10 finish. The women will also field a “B” team which is strong in its own right. Liz, Alyson, Chelsea, Maggie and Lindsay B know how to compete and will add depth to the woman’s contingent. On the men’s side, the team will brings firepower and a deep roster seeking to not just place its “A” team highly, matching or exceeding its ninth place finish in 2013, but to also show off its depth and strength of character by performing well with a B team . Stewart has been nothing but dominant all fall, obliterating the competition every time he races. He cruised to victory in the USATF East Regional Championship in November and looks for another excellent race at Clubs, Clubs, Clubs during what has been nothing short of a breakout season. Phil, our top returning man from last year’s meet, looks to dominate in his own right. “He’s in better shape this year and will be ready to roll,” Alexander said. Luke lives for cross country and is the healthiest he’s been in two years. He’s a perennial top runner and looks to show that he’s back and better than ever. Rounding out the men’s “A” team is David M, Michael, Cabell, Witty and Paul "Chilly/Chili" Balmer. David M is a strong cross country runner who produced well at regionals. The speedy Michael looks to extend his range at the 10k cross country distance. Cabell is no stranger to running fast at cross country and is getting back into racing form. Ryan is one of the most talented on the team and knows how to put together a strong race. And Paul Balmer, who has contributed in previous clubs, is someone you always want on your “A” team because he knows how to compete and leave it all on the line. The men’s “B” team looks to be right on the heels of the “A” team. Texas Paul, Blur, Greg, Kyle Wagener, Steve Soprano, Chris Van Es, Matt (Fridge), Brian (Breezy) and Evan Jurkovich have had a strong fall of workouts and will likely keep a tight pack throughout the race. It’s also reported that the “B” team has been holding a series of secret strategy sessions on how it might leapfrog the “A” squad. This report has not been confirmed, however, by the time of this publication. Last, but closer to first than last, is Dave Wertz running the Clubs Masters race. Last year was Wertz’s masters debut, placing 35th. This year, Wertz knows what the competition will bring and he’s had a strong fall of sharpening to improve on that. 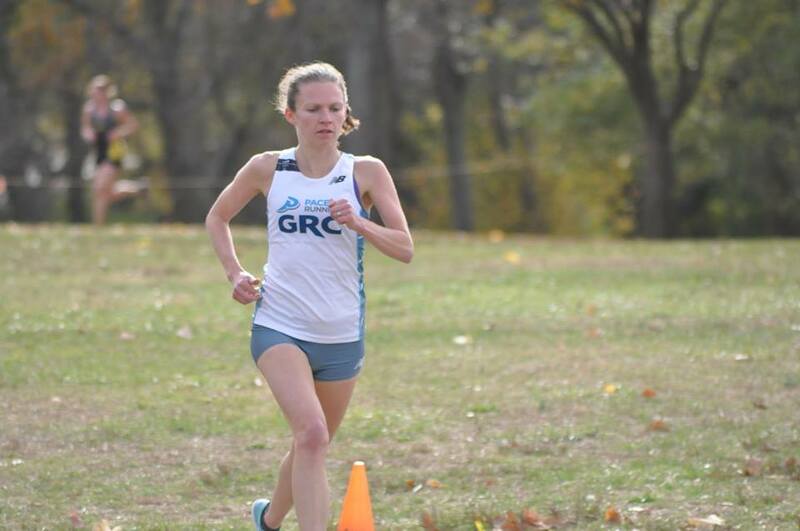 With one of its strongest and deepest teams yet, GRC hopes to leave its mark at the 2016 USATF Club Cross Country Championships this weekend.